Weeds are a serious problem in urban areas. They smother and kill native plants that wildlife depend on. 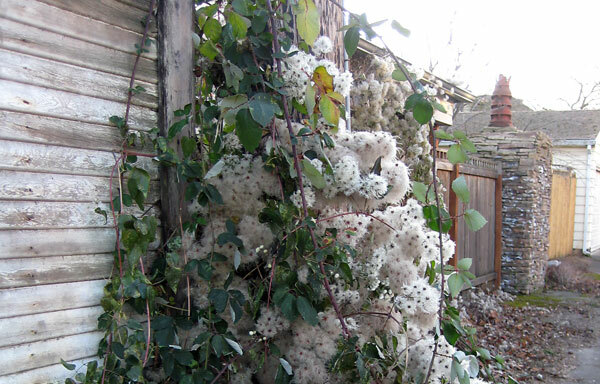 Though some invasive plants became popular as landscape plants because they grow quickly and in many conditions, those same traits mean they can take over yards and natural areas. Some are so aggressive they damage property; others increase erosion by killing deep-rooted plants which held the soil. Invasive plants degrade habitat and are a major cause of global biodiversity loss. Weeds cost governments and landowners millions of dollars every year, but many can be controlled inexpensively and without harm to the environment if they are caught early. The fact sheets below will help you learn about common and high-priority weeds, and how to control them without resorting to harmful chemicals. Download our guide to several invasive weeds below, with information on weed identification and removal methods. If you have more questions about weed management or removal, please don’t hesitate to contact us! Keep in mind, this guide contains only basic information – to learn much more, take one of our free Urban Weeds workshops. Download these helpful guides, available in English and Spanish. Descargue a estos guías útiles – disponible en español y inglés! BES Weed Identification Guide – a great visual guide to 31 commonly-occurring urban weeds to watch out for, from Portland Bureau of Environmental Services. Photos of early, mature and flowering stages, and whether to pull up or dig out each weed. Portland Plant List – a comprehensive resource for both native and invasive plants, from the Portland Bureau of Planning and Sustainability.